The Pennoyer Centre came to SBM requiring a large, visual announcement to the world — their café is now open for business! 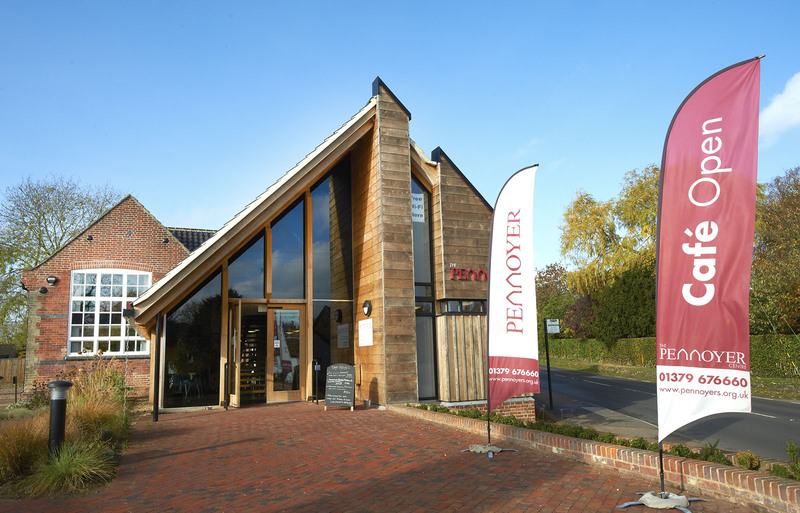 We decided teardrop banners were the perfect solution for the Pennoyer Centre’s needs. Designed to entice passers-by with their large, colourful colours blowing in the wind, the teardrop banners would be ideal. Using the Pennoyer Centre’s corporate colours and branding, and a local sign-maker, SBM designed and created the artwork needed to get the banners into production — a brilliant ‘Call-To-Action’. We have produced many types of banners and signs and if you need to attract people’s attention, ring us on 01379 676720.